2 eggs combined with ½ cup milk, softly scrambled. 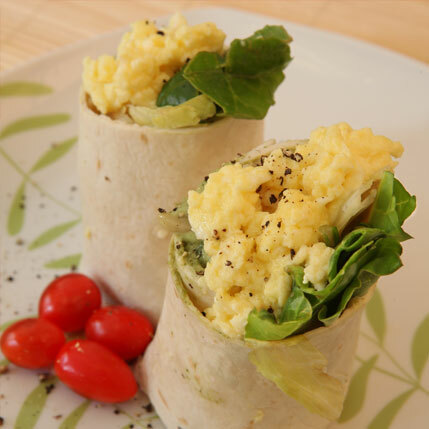 Line the tortilla with lettuce leaves and top with avocado slices and scrambled egg. Wrap the tortillas securely and serve. A fun, healthy dish for young children and teenagers.